Watch these video tutorials and takes notes! Video 12.3: In the summary at the end I mean to say at shift to the right increases the concentration of product and a shift to the left increases the concentration of reactant. OOpps! Take these ChemTours to deepen your understanding of the content in this unit. 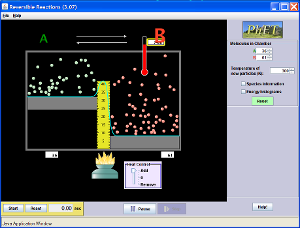 ChemCollective Interactive Tutorial: L.C.P. and Temp. 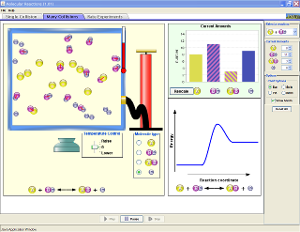 Lab Simulations: Play around with these simulations to help you better understand some of the main concepts of this unit. Watch these YouTube videos to see how Le Chatelier's Principle works in real life and to get more help with understanding chemical equilibrium.